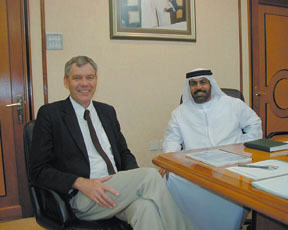 NCAR’s Roelof Bruintjes (left) with Abdulla Al Mangoosh, director of UAE’s Department of Water Resources Studies. Roelof Bruintjes dismisses the old saw that everybody talks about the weather but nobody does anything about it. The Boulder scientist has made it rain in Australia, Turkey, the Middle East, Africa and Wyoming. Even the Chinese asked Bruintjes — one of the world’s leading experts on weather modification — whether he could advise them on how to make it not rain for the Beijing Olympics. Bruintjes (pronounced broon-chess), who was in China about a month ago, had to tell the Games’ organizers there are no guarantees for a dry 100-meter dash. “We cannot make clouds or chase clouds away,” said Bruintjes, who leads the National Center for Atmospheric Research’s weather-modification group. Sill, Bruintjes and other scientists speaking Tuesday at an international conference on weather modification in Westminster said there are possibilities for managing and modifying weather — from making rain to reducing the severity of hurricanes. What is needed, they said, is renewed federal backing of the research. “In terms of the stakes, I think we owe it to the taxpayers to give it our best shot,” said Joseph Golden, a senior research scientist at the University of Colorado’s Cooperative Institute for Research in Environmental Sciences. Most of the current research on this inexact science is being conducted abroad, since funding for a majority of U.S. efforts dried up in the 1980s. China has 30,000 scientists devoted to weather modification, although their efforts to ensure sunny skies for August have not been proved, Bruintjes said. The Chinese plan is to pre-empt usual summer showers by cloud seeding before the opening ceremonies or reduce the size of water droplets in clouds to delay storms. The ability to alter the weather has been an age-old quest, and determining the precise effects of efforts such as cloud seeding can be elusive. Still, scientists say they have high confidence and some documented successes. 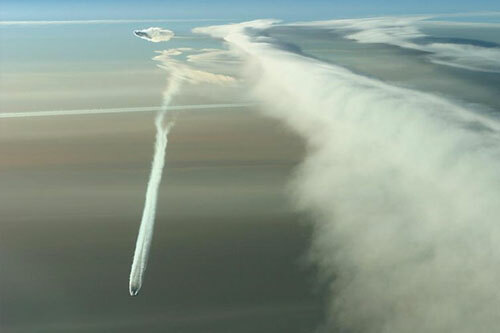 Modern technology more than ever before is allowing them to peer into the formation of clouds at the molecular level and ever so slightly influence the weather. 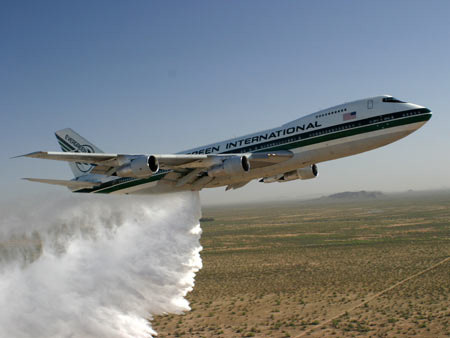 Arlen Huggins, a scientist with the Desert Research Institute, says that cloud-seeding experiments have shown as much as a 20 percent increase in precipitation in some situations. Water utilities increasingly are willing to risk a modest investment for the prospect of additional economical water, Huggins said. But the effects are clouded by the overwhelming presence of pollutants such as soot, which can mimic the nuclei of ice crystals and water droplets that form clouds. Such “inadvertent weather modification” is a ripe area for research, Huggins said. “We don’t understand all these processes yet and how pollution might affect clouds,” he said. Dampening the severity of hurricanes also has become a high-profile issue in the wake of the damage caused by Katrina, even drawing the attention of the U.S. Department of Homeland Security. One proposal calls for sending a ship into the eye of a hurricane, where giant fans on deck would be used to weaken the inner cloud wall — if the ship didn’t sink first.